Professional Development – Why We All Need It! Do you want to stand out from other applicants at a job interview or maybe you want recognition and promotion in your current job? Undertaking a professional development course is the first step to enhancing your career prospects. We all need professional development, irrespective of what type of work or career we are in or hope to have. Professional development is a win-win for both the individual and organisation and should continue throughout your working career. 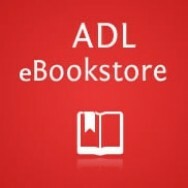 ADL distance learning online courses come in all shapes and sizes. 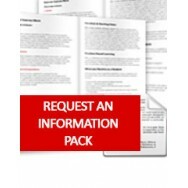 These include our 20 hour weekend short courses, our own E-books written specifically to compliment our courses, our 100 hour modular courses and higher qualifications. Anyone of these learning options will and enhance your professional development. Below are some of the main benefits to professional development: with the advent of the internet, computers, IT technology, tablets, laptops, mobile phones and other devises, learning has never been so accessible globally and so much fun! As time goes by and as we get older, often our skills learnt many years ago may become rusty due to their non-use. There is nothing like giving your current skills a bit of a polish by taking a professional development course either over a weekend or studying a more in-depth 100 hour course with ADL. Learning new skills is exciting. It certainly makes our life more interesting. With new skills learnt we become more valuable to our existing employer and future employers. Since most ADL courses have specially designed practical exercises built into each lesson, it doesn’t take long to acquire new skills as well as knowledge. With your new skills you’ll be able to perform tasks that are demanding and that require a high level of competency. These skills become invaluable as you continue to explore new job opportunities. Being up to date and knowing what changes are taking place within your own industry is essential to your job survival. The pace of business and life in general, is changing at an ever increasing speed. It is important to stay abreast of these changes. If you’re up-to-date (only a Professional development course can do this) you certainly add value not only to yourself, but to your organisation as well. You can play a vital role in assisting them with their strategic decision-making. Professional development helps you look outside of the organisation with fresh eyes and see opportunities that you may have overlooked. Creative Insight is a tool that can be used to increase your organisations performance through innovative ideas. Since our courses are compatible with industry –you are therefore, able to develop your own unique network of contacts. Through attending conferences, industry workshops, and professional meetings you are able to develop relationships and career opportunities which benefit not only your current job but future employment. Many of our courses require you to attend industry workshops. The knowledge and practical skill you acquire through ADL will help you become more aware of industry opportunities available, that you may have overlooked before starting out on your professional development course. Professional development courses can energise and motivate you to better things. Taking time out to re-new and refresh your skills is a recipe for success. The new found energy will give you a sense of fulfillment, overflowing into your job and future. If making time available to study one of our in-depth higher qualifications such as Certificates, Advanced Certificates, Diplomas, Advanced Diplomas and Higher Advanced Diplomas is not an option for you, then you may like to try in the first instance our Online Short Courses. 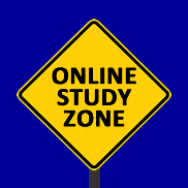 These are self-paced, automated online study programs, with lots of practical learning and computer generated tests. They are 20 hour courses leading to a Certificate of Completion. You can achieve a certificate over a weekend. If you are time poor then these weekend courses would be an ideal way to keep your professional development compentencies up-to-date. Having a qualification that is a little different will make you stand out!